Sand is the most-consumed natural resource in the world after water and air. Modern cities are built out of it. In the construction industry alone, it is estimated that 25 billion tons of sand and gravel are used every year. That may sound a lot, but it’s not a surprising figure when you consider how everything you’re surrounded with is probably made of the stuff. This is a scary fact to think about once you realize that sand is required to make both concrete and asphalt, not to mention every single window on this planet. The United Nations Environment Programmefound out that from 2011 to 2013, China alone used more cement than the United States had used in the entire 20th century and in 2012, the world used enough concrete to build a wall around the equator that would be 89 feet high and 89 feet thick (27 by 27 meters). Many of us have the common misconception that sand is an infinite resource, but the harsh reality is that it isn't. At the rate we are using it, countries such as Vietnam could run out by as soon as 2020, as estimated by the country’s Ministry of Construction. A specific sand is required for use in construction and, unfortunately, the abundance of sand from the world's deserts is of very little use to us, as the grains are too smooth and fine to bind together. The usable sand we need can take years to form and with our current consumption, it’s just not sustainable. This issue has only been raised over the last ten years or so. At last year’s Dutch Design Week, Atelier NLheld a symposium in which they discussed the subject and brought it to the attention of the media: "As the urbanization of our modern world expands, so does the need for this unassuming resource," said Atelier NL’s Nadine Sterk and Lonny van Ryswyck. "Yet sand is being excavated at a rate faster than it can renew itself. It is disappearing from shorelines, rivers, and seabeds, causing disastrous effects for both environmental and human systems." As the demand for sand continues unabated, so do the worldwide problems associated with it. The multibillion-dollar industry is causing onshore sources to become depleted and sand miners are turning to less favorable supplies. Dozens of islands have already vanished in Indonesia, according to a 2015 WIRED article, and the damage to ecosystems has been so vast that countries such as Vietnam, Malaysia and Indonesia have all put restrictions or bans on exports of sand. However, the restrictions on sand exports are only adding fuel to the fire; illegal sand mining has attracted criminal gangs to sell the material on the black market and countless lives have been lost as collateral. Further to the concerns of the “sand mafia,” are the worries that tighter restrictions on sand exports will cause the price of sand to surge. Of course, this is no new phenomenon—we have seen this pattern again and again with other non-renewable materials. If we want to prevent any further damage to ecosystems and to people’s lives, we need to re-evaluate how much sand we are using and where it is coming from. In the 21st century, it is almost impossible to look beyond a world in which our previous sand resources are depleted, so several companies and start-up firms have begun to seek alternatives, using the "wild sand" that would normally be deemed unusable. Atelier NL, who presented their project To See a World in a Grain of Sand at last year’s Dutch Design Week, called upon people to send sand samples from across the world to study the varieties in their compositions when melted into glass, with the ultimate aim of discouraging long-distance imports. The results are simply beautiful, with colors and textures unique to their location. A group of four students from Imperial College London have also been taking advantage of the abundance of wild sand that is often overlooked. 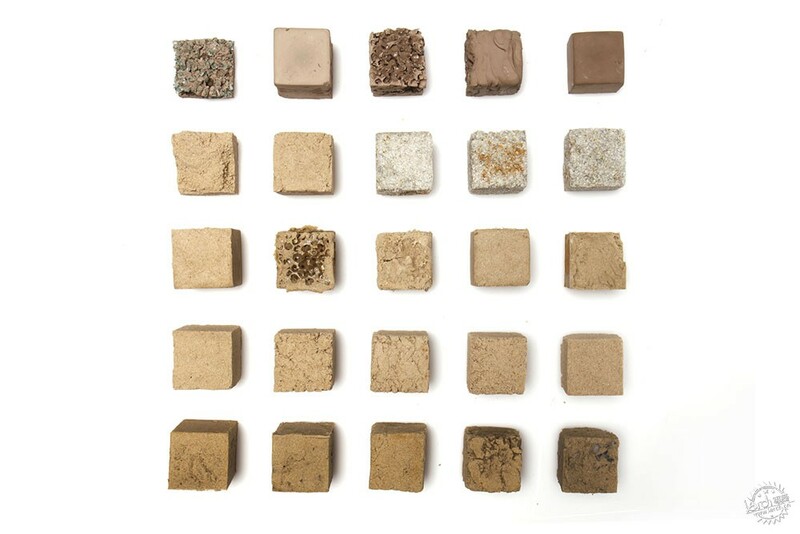 The start-up has developed a composite material, suitably named "Finite," made from desert sand that shares the same strength as housing bricks and residential concrete. However, in comparison to concrete, it has less than half the carbon footprint due to the simple process using organic binders and has the added advantage of being reusable—offering an environmentally friendly material choice for short-term infrastructure projects. Although both of these alternatives are in the early stages of development, they look to find a solution to this very 21st-century problem. Much like the earth’s other non-renewable resources, we need to change our perspective on sand. So next time you decide to use it in construction, take a moment to think about all of the implications, not just on the planet, but on people’s lives.